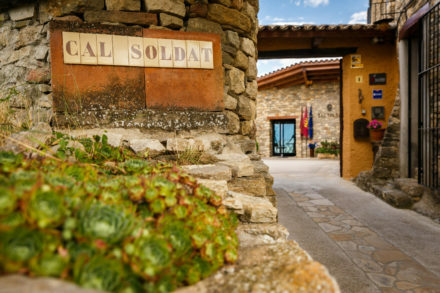 When our guests arrive to Cal Soldat, once they are settled, they visit the compound: the library, the wine celler, the oven… they watch our story video in the meeting room, and then they ask: How did you get here? Well, Rosa was going to conquer Mur’s castle and then two fairies met and then… you’ll have to come to know the full story. But today we bring you our invitation to visit the complex of Mur, formed by the castle and St. Mary’s collegiate church (colegiata de Santa María). 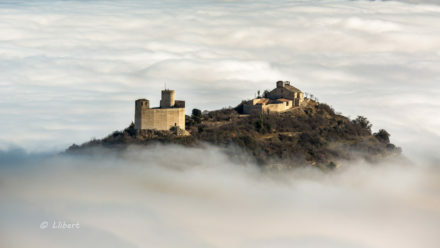 The castle, dating from 989, amazingly looks like a boat, sailing the seas of fog in winter. Its homage tower, a key point for the Al-Andalus border castles, is a splendid spot to sight the enormous horizon. We are in the 11st century. Count Ramón IV de Pallas Jussà, master of the castle, and his wife Valença, daughter of Arnau Mir de Tost, promote the construction of the collegiate church, dedicated to Saint Mary. 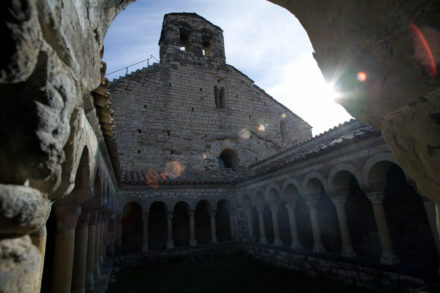 In 1069 it was consecrated by Guillem Arnau, bishop of Urgel. So this is a place where spiritual and civil power came together. The way these people lived, the men, the women’s influence… all the secrets of the history, known by a few, today are discovered. – Arnau Mir de Tos – He was a medieval knight, a warlord, a forgotten man these days who conquered the Muslim territories from the lands of the Pyrenees to beyond Lleida and Zaragoza. At Mur, along with Ramón IV, they put together the strategies for the battles. – Mur Collegiate Church – Eight centuries later, it played a main role in the salvation of the Catalan Romanesque art. What happened? First of all, note that the best collection of Romanesque art is at the MNAC museum of Barcelona. This story began in 1919, with the first detachments of the Romanesque paintings in Mur -using the strappo technique-, which end up being auctioned in 1921 at the Savoy Hotel in New York. Today, the paintings are held at the Fine Arts Museum of Boston. Now at the Collegiate you can appreciate an exact reproduction of these master pieces. 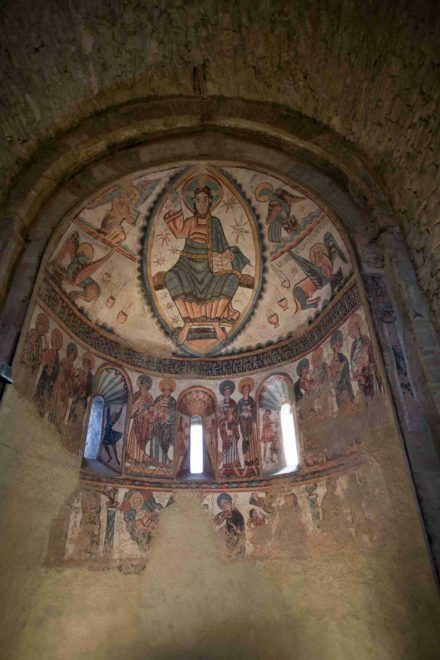 We must say that ‘thanks’ to these turbulent facts, the rest of the Catalan Romanesque paintings were saved. The great historical novel ‘Strappo’, by Martí Gironell, walks us through these events. Did you know that Picasso was inspired by Romanesque? He was attracted by the mysterious look of the figures, the representation of the sky, the hell, the death, the beyond. – Did you know that the first documents written in Catalan language were found in Mur Castle? The first document is dated from 1035, is the oath of allegiance of Radul Oriol to Count of Pallars Jussà, Ramón IV. We recommend you to visit the castle and the collegiate church, they are holding even more secrets for you. All the visit is guided and includes more detailed explanations of what it has been presented in this article. Castle and Collegiate Church, there they are, proud, attentive and yet lonely. Get ready for a rest to enjoy the culture and the history. At CALSOLDAT it will be a pleasure to welcome you.